Multiple sightings of the mythic Samsquamptch are being reported in Sunnyvale! Starting this Thursday at 2PM PT, you’ll have a chance to unlock the greasy beast itself… sort of. So technically, it’s not the real Samsquamptch, but Sam is close enough. Just look at all that greasy hair! He must be related. This new costume will boost the Denture King’s speed and profits by four-fold. Deeeeeeecent! Jacob’s Samsquamptch costume is also up for grabs. We guess he was just in the mood to dress up? Even if it doesn’t lure a real Samsquamptch out of hiding, it stills boosts the Piss Factory’s profits by 4X! 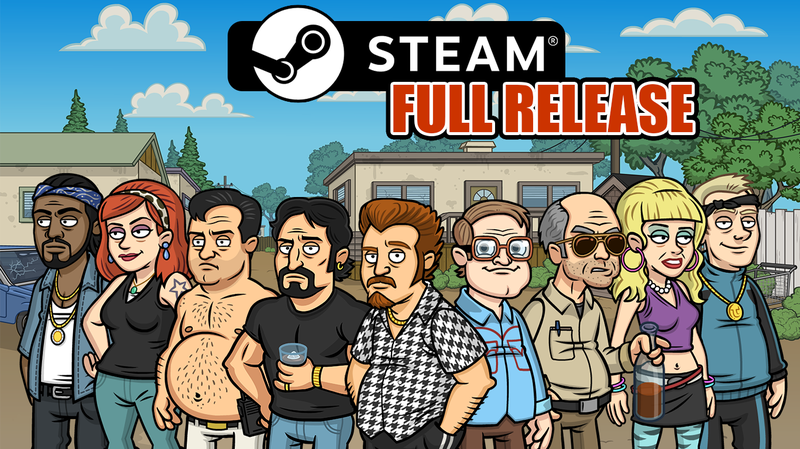 Trailer Park Boys on Steam! 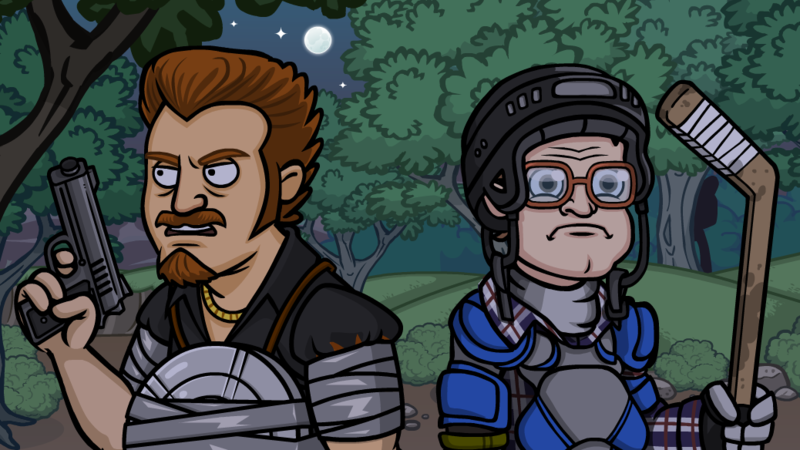 Trailer Park Boys: Greasy Money is now out of Early Access and fully released on Steam! Thanks for all of the feedback and suggestions you sent our way to make the game run smoothly on PC. Download and play the full version on Steam (now complete with weekly events)!